Ceramics Mura the grounds of Ceramics Mura there are scattered works such as Okamoto Taro's "Tsuki no Kao", Isamu Noguchi's "Rain Mountain".FUKUI PREFECTURAL MUSEUM OF CERAMICS you can make your own original works in Making Pottery Experience.From children to five years old, you can feel free to experience. 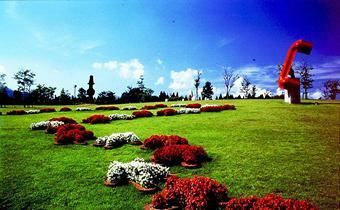 Those who wish to use, please make a reservation by phone in advance. 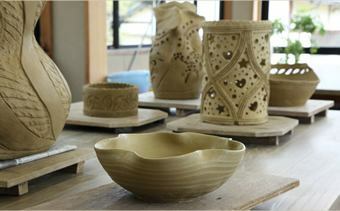 It takes about 1 month to complete the work after use.Works can be delivered at actual costs. 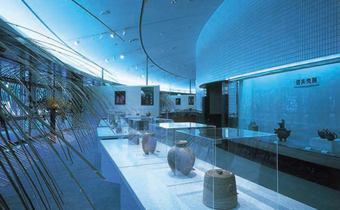 Making Pottery Experience reservation for Making Pottery Experience, please make a reservation directly to FUKUI PREFECTURAL MUSEUM OF CERAMICS. ·Closed days Every Monday, the next day if Monday is a holiday. 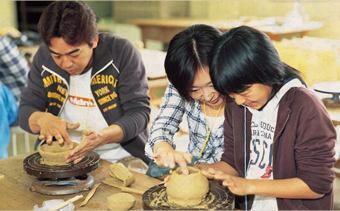 ·The place of the pottery classroom is located 3 minutes on foot from JUKOUEN.